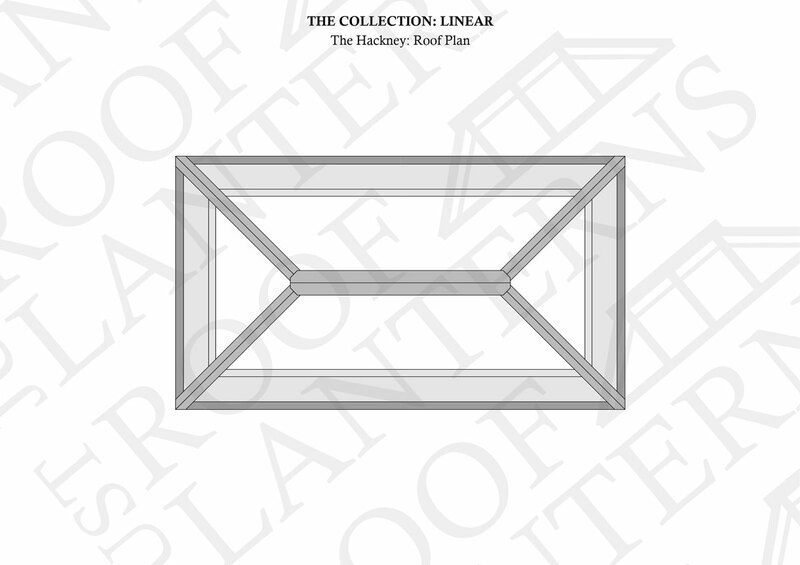 The six roof lanterns in the Linear range mimic the detailing of the Classic range but with minimal rafters. 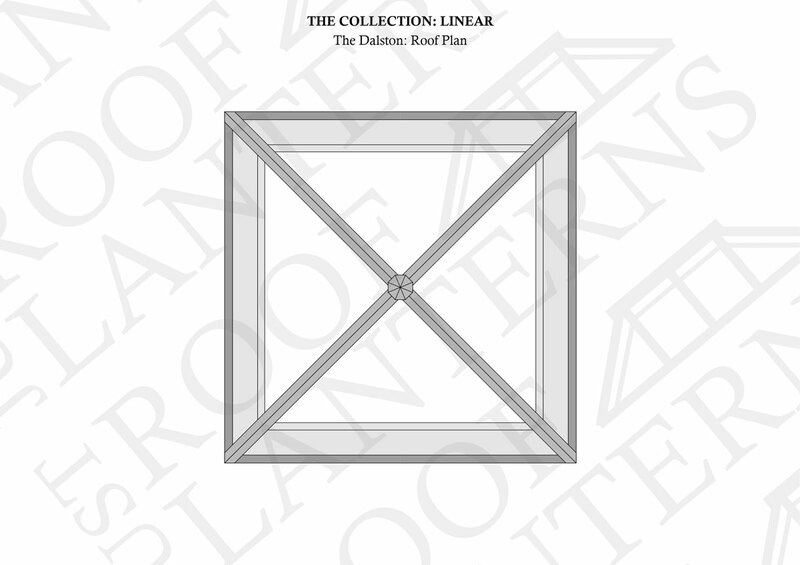 Their 4-pane design gives these roof lanterns a clean, contemporary look. As with the Classic range they can happily straddle both modern and traditional interiors. They also have the provision to hang pendant lighting (up to 25kg) to create a stunning overall look. 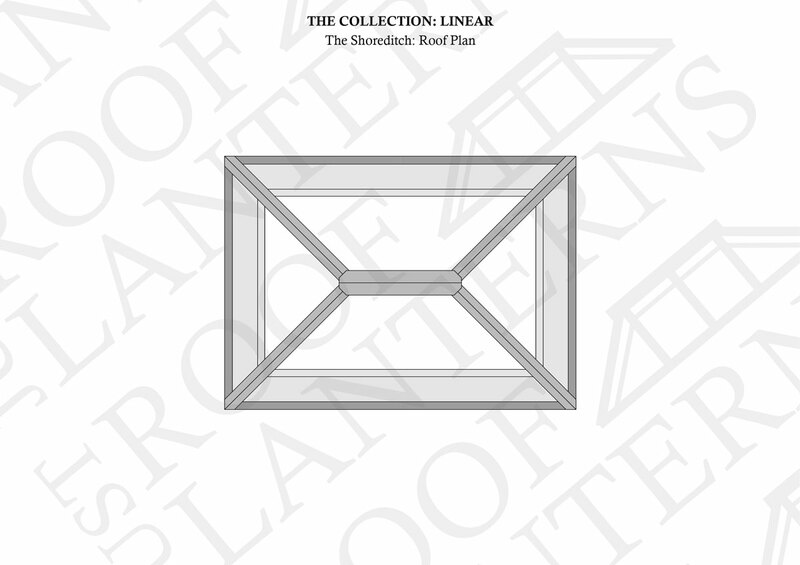 The roof lanterns within 'The Linear Collection' are made in a combination of Sapele hardwood and aluminium and come in white and/or grey as standard. In addition, you can choose from a range of options including ventilation and glass. 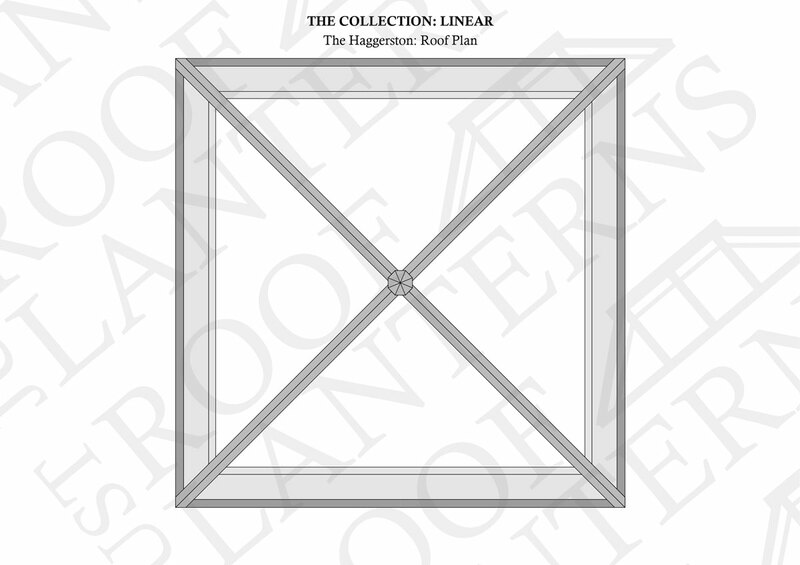 As with The Classic range, the roof lanterns in The Linear range have been developed to be fixed onto an upstand detail which sits on top of the flat roof construction, exactly at the clear opening of the lantern aperture. 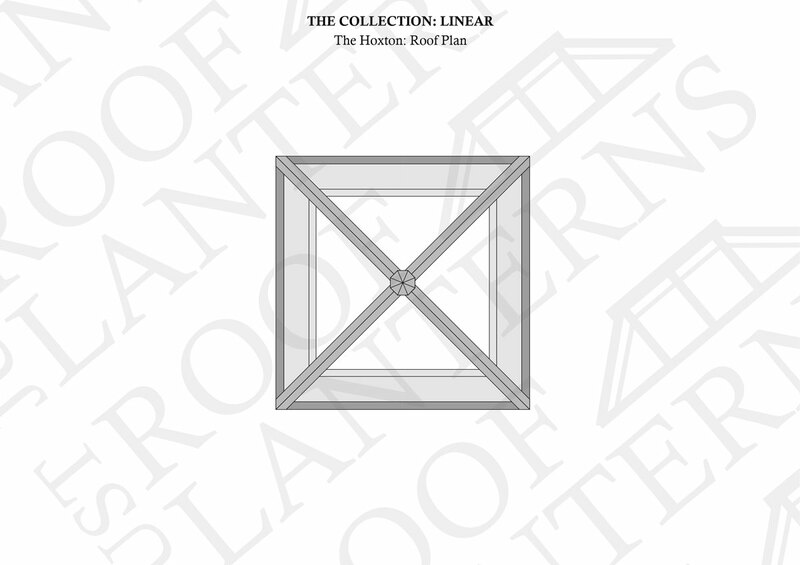 Sizes shown for each roof lantern are for the internal kerb size, not including any internal finishes. 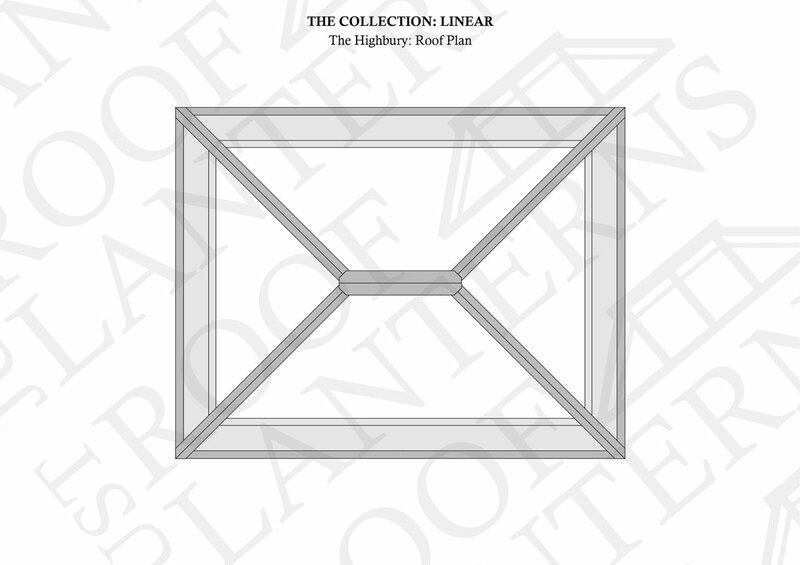 For more information, please see the Linear cill / upstand detail.